Every fall, when Nantucket has emptied of seasonal crowds, a second wave of visitors come ashore. But unlike the tourists who seek all the island has to offer, these project team members from WPI are focused on what they can offer the island. WPI’s Nantucket Project Center was established in 2008. Since then, a symbiotic relationship has formed between island residents and the two dozen students who visit each B-Term. “Often the students serve as a catalyst to enable them to do things they wouldn’t be able to do otherwise,” center director Dominic Golding says of Nantucket’s sponsors, which include municipal government departments and nonprofits. There's no shortage of issues affecting this island 25 miles off Cape Cod. Nantucket’s population of 12,000 swells to 50,000 during the summer. As a national historic district, its bylaws and regulations protect the island’s character, but can hinder efforts to accommodate seasonal demands. Mechanical engineering major Angela MacLeod ’19 and her three IQP (Interactive Qualifying Project) teammates discovered this last year. Tasked with proposing improvements to downtown parking, they learned that the streets become congested with drivers searching for parking. Parking meters and kiosks are not allowed in the historic district, and there isn’t room for parking lots. The group conducted interviews, researched parking solutions in other tourist destinations, and investigated different technologies. Their final report included recommendations for short-, medium-, and long-term solutions, including instituting a parking sticker system (its fees paying for increased shuttle bus services); expanding satellite lots and increasing capacity of current valet services; transitioning from an actual parking sticker to an RFID transponder; and ultimately moving forward with plans for a parking garage near the waterfront. MacLeod and her teammates were struck by how interested the townspeople were in their work. “Whenever we interviewed people, they would want to know anything we found out and any ideas we had, especially technology-wise,” she says. Island residents embrace the IQP students, according to assistant town manager Gregg Tivnan. Harvey Young of Young’s Bicycles gives each student and advisor a free bicycle to use during their seven weeks on the island. The Maria Mitchell Association (MMA) has provided dormitory-style accommodations for the past nine years; this coming year the students will be housed at the Nantucket Yacht Club. 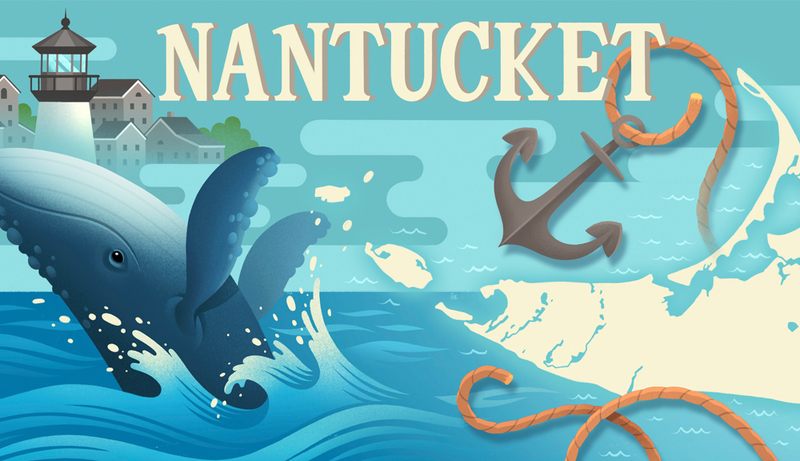 The organization ReMain Nantucket has supported the program in many ways—from sponsoring projects, receptions, and an annual treasure hunt to providing student office space. The MMA reaped the benefits of those fresh eyes last year. The association, named after the 19th century astronomer, wanted to help visitors find their way among its geographically dispersed buildings. The IQP team assigned to the project easily found its way to each building. The real problem, the students realized, was that it wasn’t obvious that the buildings belonged to the MMA and were open to visitors. “Our perspective was, it’s not difficult to find you, but people don’t know what you do. That was our ‘Aha’ moment,” says robotics major Eva Barinelli ’19. The team’s recommendations centered around creating a strong brand identity and ranged from visually connecting the buildings through landscaping to creating guidelines for marketing material and signs. “It felt like we did something purposeful that they could actually use,” Barinelli says. Golding says that many of the student recommendations are implemented or used as a springboard for further work. Tivnan agrees, noting that WPI IQP recommendations have been used to request Town Meeting appropriations and to send out requests for proposals.